This lemon dessert is baked all in one dish. 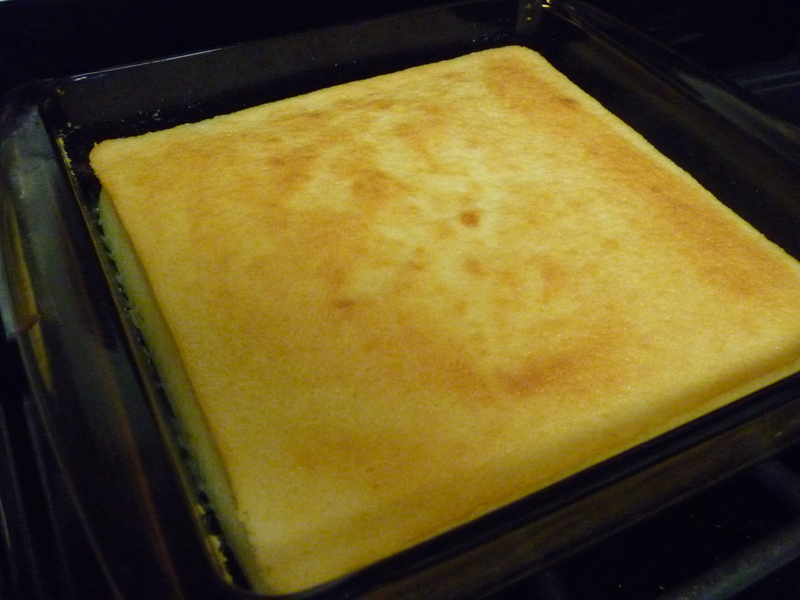 As it bakes, it separates into a sponge-type cake on the top and a sauce on the bottom. I have figured out a way to do this using just one mixer. Here goes. I’ll list the recipe first and then my own description with a few pictures. Beat together egg yolks, lemon juice, lemon peel, and butter. Combine sugar, flour, and salt. Add to egg mixture alternately with milk, beating after each addition. Beat egg whites until stiff, blend into batter using low speed of mixer. Pour into greased 8” square baking dish. Set in pan of hot water. Bake at 350 degrees for 45 minutes or until golden. Serve warm. The first thing I do is put a kettle on to boil water and turn the oven on to preheat to 350 degrees. 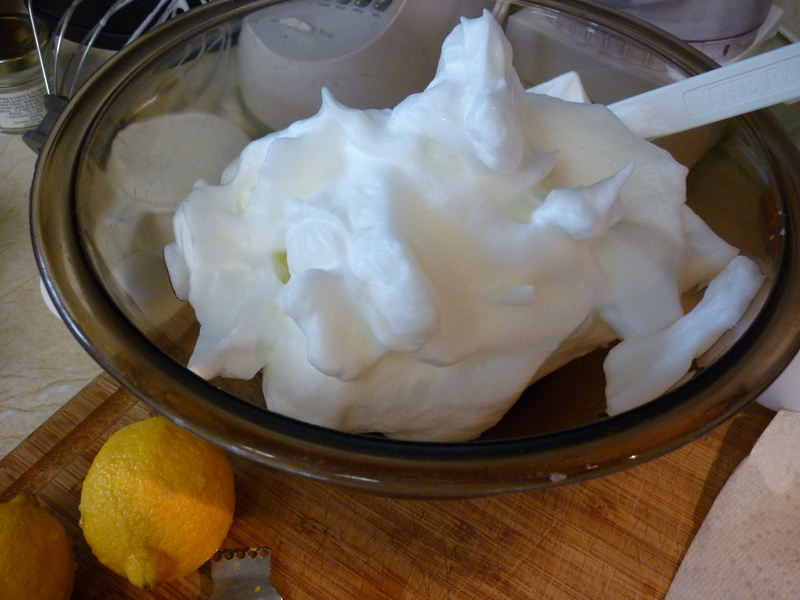 I beat the egg whites in my mixer, using the whipping attachment, then transfer them to a bowl and set aside. Next I use the mixer to mix the remaining ingredients according to the recipe. Then I fold the egg whites into the other ingredients on low speed until they’re incorporated. I use the whipping attachment the entire time, otherwise the egg whites don’t go into the rest of the batter very smoothly. 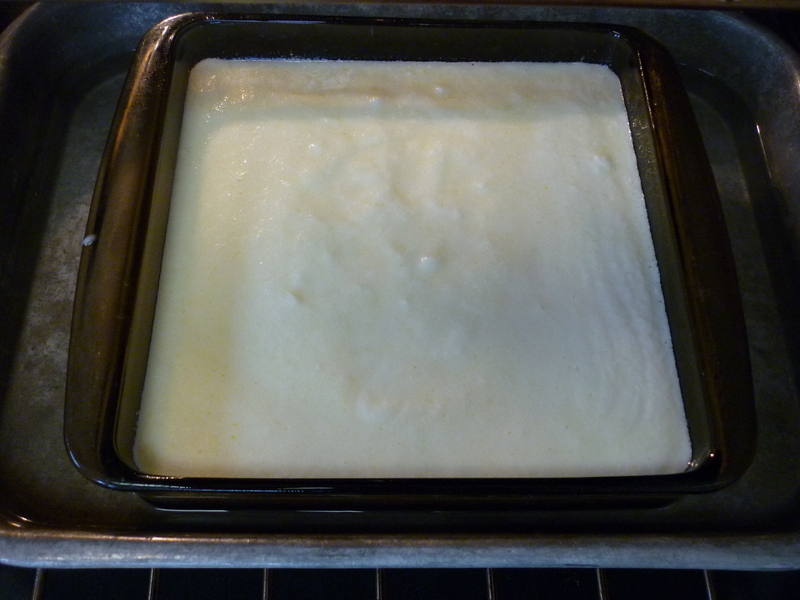 I pour the batter into an 8″ square pan and then place it into a 10 x 15″ pan. Put it onto a middle or low rack of preheated oven and pour hot water into the larger pan, until it comes up against the sides of the smaller baking dish about half way. Bake 45 minutes. Remove baking dish from water. Be careful. 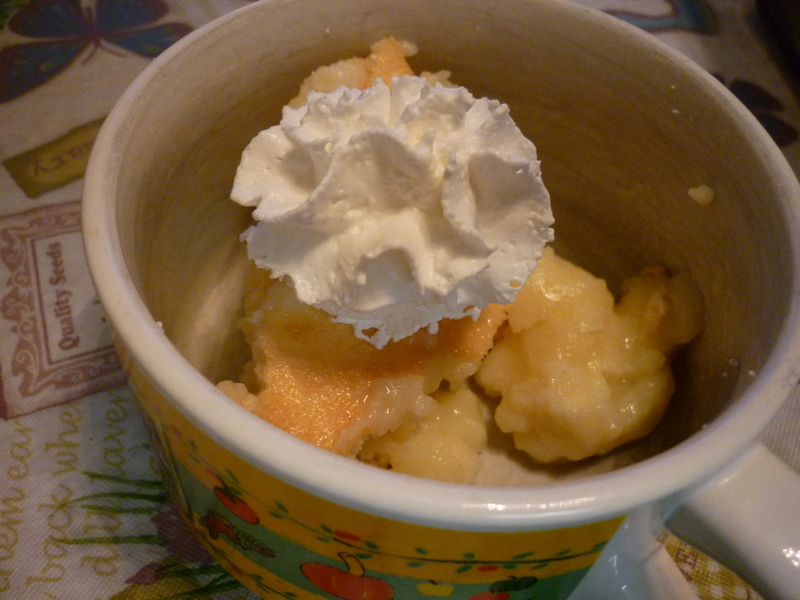 Serve warm with cream or whipped cream. 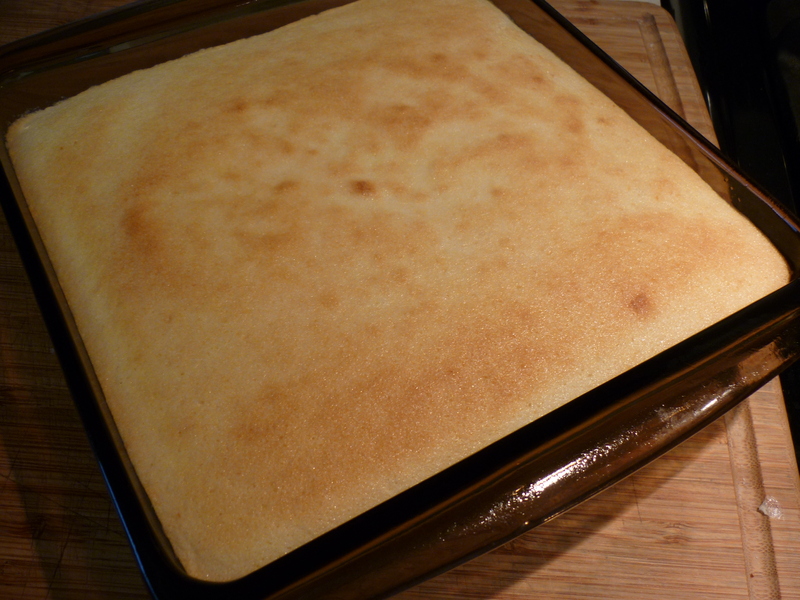 The cake part of the dessert shrinks as it cools. This is a very rich and brightly flavored lemon dessert. 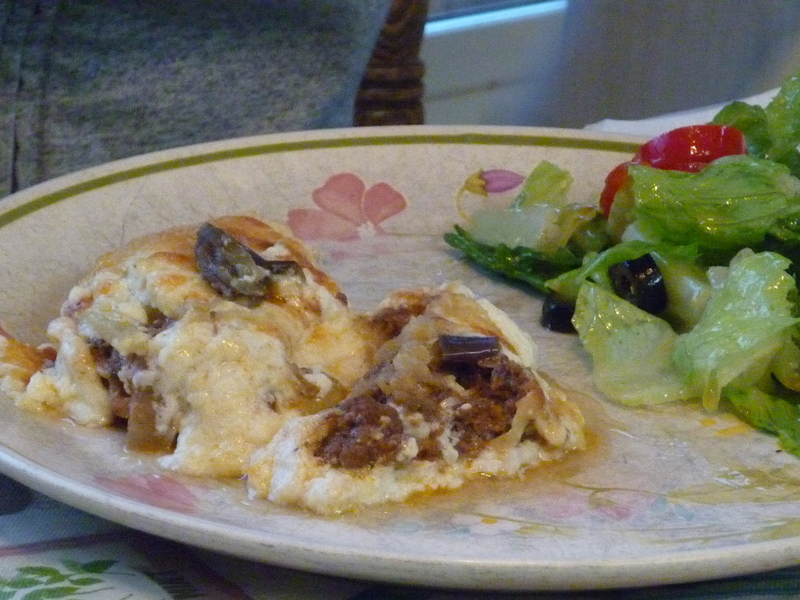 This is an easy and interesting dish to prepare, plus it is delicious! 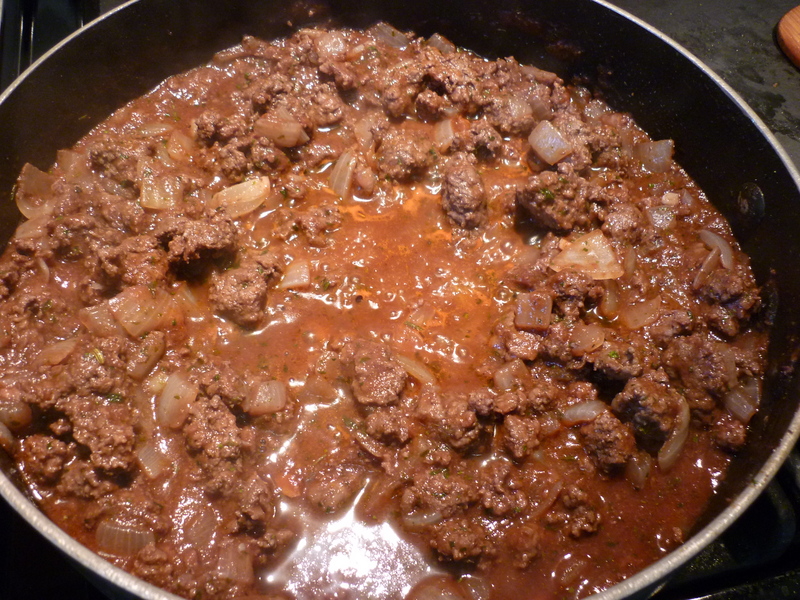 Its combination of spices lends itself well to wild game, but any type of ground meat would probably do. I have consistently failed to buy enough eggplant to make this properly, but it works out well enough. Some day I will look at the eggplants in the grocery and tell myself I need more, not less. 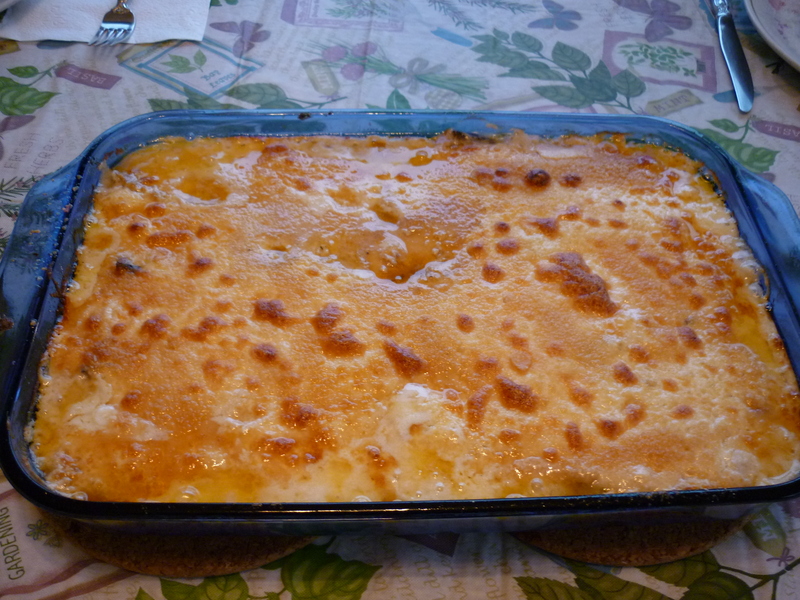 Another addition you might consider is a layer of thinly sliced sauteed potatoes on the bottom of the baking dish. I think you would want to have a baking dish with very high sides. 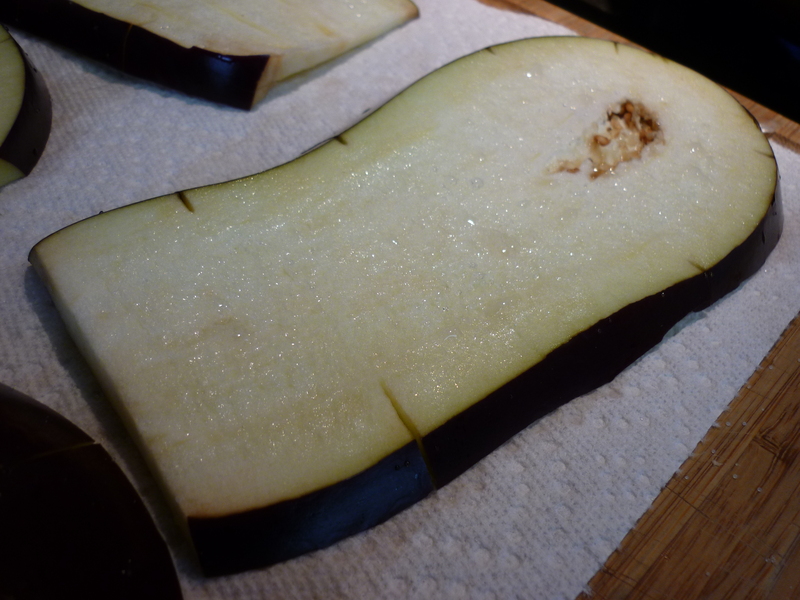 Cut 3 eggplant lengthwise into 1/2-inch slices. Score the skin with a knife. Sprinkle each slice with salt and let drain onto paper towels for thirty minutes. Note: I had one very large eggplant — it wasn’t enough as you will see below. In 1 Tbsp. butter, saute 1-lb. ground meat (moose or elk are great! ), 2 chopped onions, and 1 minced garlic clove. Once the meat is browned, sprinkle with salt and pepper, then stir in 1/4 tsp. cinnamon, 1/4 tsp. nutmeg, 1/2 tsp. herbs de Provence or herbs fines, and 2 Tbsp. dried parsley. Add 8-oz. tomato sauce and 1/2 cup red wine (or beef broth). Simmer for 20 minutes. Let cool. Stir in one beaten egg. Pat eggplant slices with paper towel to remove moisture and fry slices in olive oil until mostly cooked through. Make a white sauce by melting 1/2 cup butter in a large saucepan over medium heat and stirring in 6 Tbsp. flour. Continue stirring until flour-butter mixture bubbles for awhile. Stir in 4 cups milk. Keep stirring frequently over medium heat until it’s thick and bubbly. Add salt and white pepper to taste. Remove from heat. 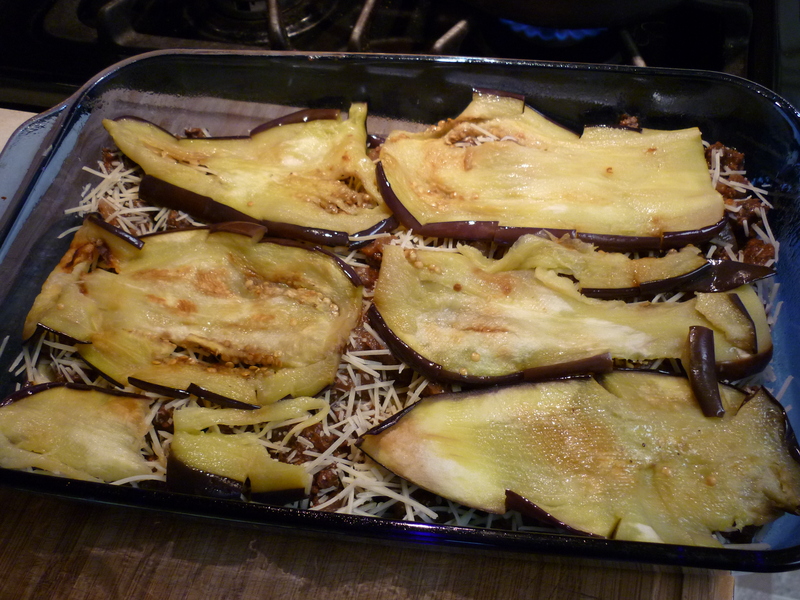 When ready to assemble, place one layer of eggplant in the bottom of a 9×13″ baking dish. Cover the eggplant with all of the meat mixture. Sprinkle meat mixture with 1/2 cup grated or shredded Parmesan cheese. Cover that layer with remaining eggplant slices. Sprinkle with 1/2 cup Parmesan cheese. Gently pour white sauce over the entire dish and sprinkle with 1/2 cup Parmesan. Bake at 350 degrees for one hour. Yummy! I wish I was a better photographer for this surely is a wonderful dish. 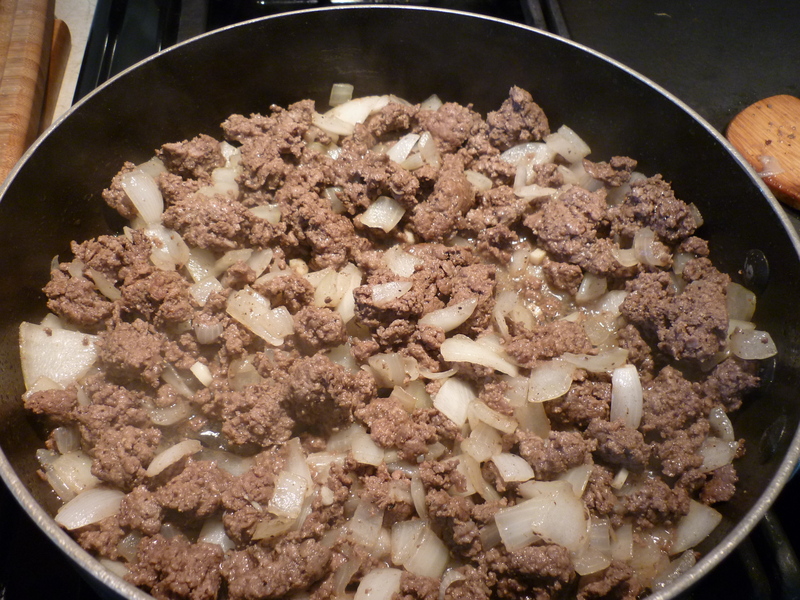 In a skillet over medium heat, melt the butter and add the ground meat, salt and pepper to taste, onions, and garlic. After the meat is browned, sprinkle in the cinnamon, nutmeg, fines herbs and parsley. Pour in the tomato sauce and wine, and mix well. Simmer for 20 minutes. Allow to cool, and then stir in beaten egg. Melt the 1/2 cup butter in a large saucepan over medium heat. Stir in flour until smooth. Lower heat; gradually pour in the milk, stirring frequently until it thickens. Season with salt, and white pepper. 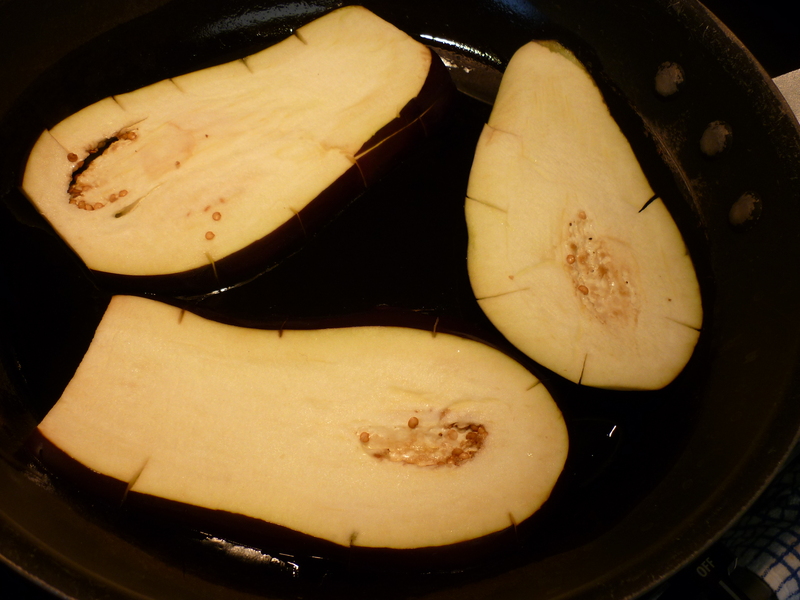 Arrange a layer of eggplant in a greased 9×13 inch baking dish. Cover eggplant with all of the meat mixture, and then sprinkle 1/2 cup of Parmesan cheese over the meat. 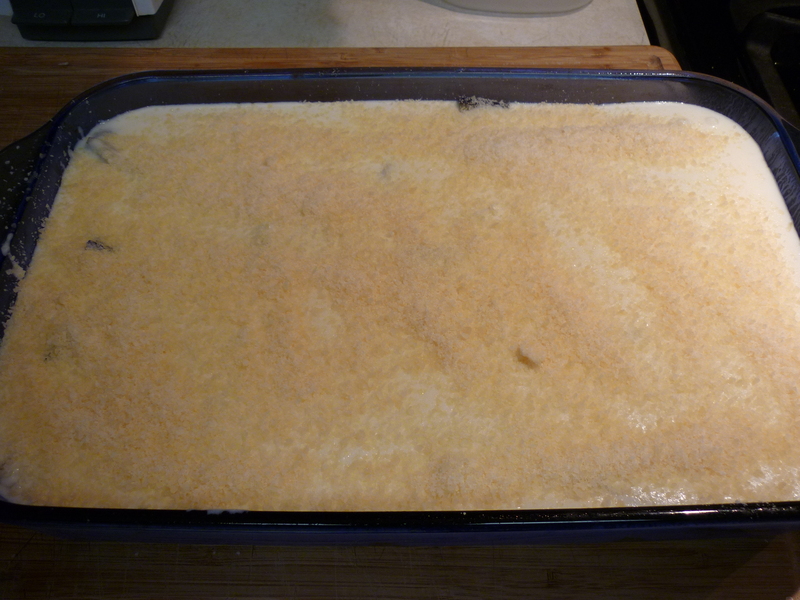 Cover with remaining eggplant, and sprinkle another 1/2 cup of cheese on top. Pour the white sauce over the top, and sprinkle with the remaining cheese.